There you are, at your friend’s house. You’re all gathered around the computer to watch a funny video. But then something happens. A virus pops up and gives you the digital bird. “No problem,” you say, “since I’m a geek, I’ve got antivirus software on my USB stick.” Now you’re the hero. 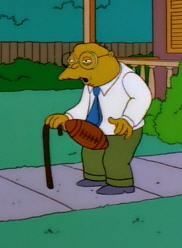 Now you and your mates can watch that guy get the football in the groin…again. You pop your thumb drive into the USB port and – nothing. Back to zero, hero! Unless, of course, you know how to fix that too. There are a few causes for this sort of thing happening. So I’ll take you from most likely and easiest method to make corrupt USB jump drives work, to the least likely and still pretty easy way. Typically, a computer will assign either the E, F, or G drive letter to your jump drive when you plug it in. Normally, if one of those drive letters is already in use, a different one will get assigned. So let’s say you have a backup drive set at drive letter E:. Then your jump drive should get assigned F: or G:. But sometimes, that just doesn’t happen and that can cause USB jump drives to not work. Here’s how you fix that. My instructions are for Windows XP, since I like to kick it like it’s 2003. Click on the Start menu, then right-click on My Computer. From there, click on Manage, because we will manage. Now the Computer Management window opens. Click on the Disk Management option. In the right-hand window, you’ll see all attached drives listed. The U3 drive is my USB key. Currently, it’s not conflicting with anything, but it will do for this demonstration. Right-click on the drive that you want to change the drive letter on. Then click on Change Drive Letter and Paths. Now you can click on the Change button. Then select a new drive letter. I chose G for Guy. Isn’t that cute? Windows will ask you to confirm that this is what you want to do. I’d click Yes, but that’s just me. As you’ll be able to see in the window showing all the drives, the drive letter is, indeed, changed to G:. Whut up G?! Now your USB drive should not conflict with any other drive. That didn’t fix the problem? Hmm….well, maybe your USB drive is actually corrupted somehow. Let’s take a look at fixing that – there are still a few ways to make corrupt USB jump drives work. Once you are in Window’s Explorer, right-click on the USB disk you’re having problems with. Then go down and click on Properties. Once the Properties window opens, click on the Tools tab. This is where the Error-checking software can be accessed from. Click on the Check Now… button. I advise checking the box for Automatically fix file system errors. What that will do is, well, fix any file system errors automatically. Yeah, that was a brilliant explanation. Just click on Start. The scan doesn’t take very long at all. You guessed it, click the OK button. My USB thumb drive is 8GB in capacity and it was done in a matter of seconds. If it takes longer than that, perhaps your drive’s problem is somewhat more serious. You can also do a similar test and repair with third-party disk repair tools out there. Well, this step doesn’t really help you get at the files you want, but it will restore the file structure so that it doesn’t happen next time. Warning: Formatting the USB drive will ERASE all the files on your hard drive. Go into Window’s Explorer again. Right-click on the USB drive you wish to format, and then click on Format…. Once the Format window opens, you have a few choices to make. First, choose what type of File system you want. This is a matter of personal choice. You can choose FAT or FAT32, and with some fiddling around elsewhere in your computer, you could choose NTFS. That may be an article for another day. You can also set the Volume label. Perhaps you want to customize it and call it ‘My Toolbox’ or something like that. Then you can choose to either do a Quick Format or not. With something like this, I don’t think it matters if it is done with a quick format or not. Meh…click the Start button. Now, jump out of your chair, point at your monitor and scream, “It’s formaaaaaaaaaaaating!!!!! !” as though you were Robert Thorn in Soylent Green when he figured out what Soylent Green really was. You don’t have to do that part, but if you do, let me know how fast your Sys. Admin loses his mind thinking you formatted something important. Well, that makes the next part a little anticlimactic. Just click OK, and put the files you want on to the USB drive. There are a few more things that could be done, that are a little more complex and beyond the scope of this article. However, it involves messing around with drivers or data recovery software. If there’s enough interest, maybe we can do a follow-up to this article. Anyone? this is assuming of course that the USB drive is recognizable in explorer.... what about cases where you can see it in disk management, but can't even format it there? I tried all you said BT when it start formatting it just stop and say windows was unable to complete the formatting so what must I do now ? Does not work , not even anything like it .Pc can't read open or show me properties just shuts down PC when properties is pressed .4 days now and about 15 different usb formatting apps downloaded .None work. did not help me, you need help also. I had same Read Only problem with my 32 GB Samsung Memory card, fixed it by formatting in android mobile. 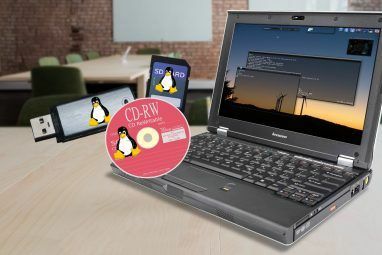 Those who dont have an android phone or linux os, just use linux live cd and fromat the drive. I've had this USB drive for less than a month. I was copying a bunch of files and when I was done, I forgot to eject the drive. Next time, write protect. I've tried everything from page to page on this site - all softwares but the USB disk shows as Read Only and the entire RAW partition shows HEALTHY. I've spent a day and a half trying to figure out how to just reset, LLformat, MBRformat or just get that damn Read Only changed to Online, but nothing's worked. Help! My USB drive won't let me format it or check it for errors. Whenever I try to do either, it just gives me an error saying that it's write-protected. What can I do? My USB drive does not does not show space even in disk management and when i try to do anything to its it gives me a massage that says the computer can not access the USB drive. I tried everything but didn't come right. Under Disk management, when I right click on the drive, it only allows me to go to properties, the rest of the options are grayed out. Hi, I need help. My usb pendrive says the memory is 2gb free out of 7gb+ and it can be accessed but I see nothing inside (my folders gone) and completely empty inside. How to recover them back? Chances are that a few partitions have been created on your pendrive. If you can find out if there are multiple partitions, and get into the partition with your data on it, you may be able to recover it that way. Using a tool like EaseUS, you also might be able to merge the partitions while saving the data. My 8GB micro SD card has corrupted. I have tried plenty of methods to format it but all have failed. Whenever I try to format it, this error appears, "Windows was unable to complete the format." I've scanned it through ESET and there is a worm in it but it doesn't let eset clean it just like it doesn't let windows automatically fix errors or format. It starts but suddenly the drive is unmounted and disappears. I tried formatting through cmd but only 2% is completed and then the disk unmounts by itself. I tried using the SDFormatter but it says that the disk is write protected. Hi i have a sandisk 16 GB pendrive. it was connected to Vedeocon D2H setup box for PVR. after usage of two days i have formatted it in my laptop (win 7). after formatting its showing only 304 MB free 304 MB. pls help. Check your pendrive with diskmgmt.msc. Type diskmgmt.msc into the Start Menu's search to find that. Chances are you'll see that there are several volumes on your pendrive now. Using diskpart in a command prompt window, you should be able to remove these volumes so that there is only one volume. That one volume should be just about 16GB. You can find more details on using diskpart in my article, How To Format A Write Protected USB Flash Drive. Then format the pendrive again. You should be good after that. Hey Maxio, I'm glad I could help. Cheers! So I tried your suggestions and I think my USB is beyond help. It was working just fine, and then BLAMO ... I get a message that it is FAT and contains no files! When I tried the directions above for automatically fixing errors, the screen said there was no files to fix! 8 months of work! THANK GOD I copied the file on my hard drive at the office and can make the one change I was making since yesterday on Monday a.m. (Ironically I was taking a word out, and "saving it as" the same file name to not take more space...(I knew I was getting close to capacity and now I have nothing...and it won't let me save anything onto the empty USB now! Good thing its a long weekend so I can drink heavily! HDD Low Level helped me a lot!. It helped me to format two drives that are in RAW format. Thanks a lot! this didnt fix my problem my problem is it wnt shw up when i plug it in??? help? Try going into Disk Management and seeing if it shows up there. If it does, you may need to change it's drive letter. It's possible for two or more drives to try to use the same drive letter, like E:. Then only one will show. If you're not comfortable working in Disk Management, don't go in there. It is easy to mess up your whole system there. Get someone who knows this stuff to help you. I have tried my Lexar thumb drive on 3 computers all weekend long. All three computers now do not recognize the thumb drive and so I have to believe the Lexar went kaput. Is there any possible way to retrieve data from a kaput flash drive? Great article. Funny and helpful. Thumbs down to nitpickers and haters. Soylent Green is indeed people. when I try to format it (the last way) it would not proceed. nothing happens by the time. then I click "scan and repair" the message comes: there was a problem repairing this drive. These guys were simply superb and helped me in getting the inaccessible files back. You guys kill me. This guy wrote a great article and was trying to be helpful and you whine about if he used the term jump drive or thumb drive. He was 110 percent write about the kleenex/tissue/brand/generic reference. Give up or kill yourselves already. lol. Great article guy. agree with gary , thx for the help! Thanks for the article, it was really helpful and i liked the humor! "Windows unable to complete the format". Crap. It's worse than before. I try to format, it shows the same message every time. What to do?! Please respond, this drive was $40. I really was intrigued by the article, but had some doubts. You post presumes the USB drive to be detected by the system (PC/XP). What happens when it is not detected by the system. In that case hos do I get it working. The device shows a question mark in Device Manager and does not show up in Disk Management. Would appreciate a reply as to if there is any way i can recover my USB Drive. If the device is showing, but with a question mark, that can indicate a driver problem. Perhaps try updating the driver? Is this a U3 drive or a regular USB drive? If it's a regular USB drive is it the 2.0 USB spec or lower? Is there any physical damage to the connections on the USB drive or port? Does it do the same thing on every port or another computer? Lots of questions to answer before the problem can be narrowed down. The device in question is a Transcend 1 GB Pen Drive. I had installed the drivers, but being an XP SP2 machine the system should have detected the device even if it was a 1.0 or 2.0 device, of which I am not sure. From the outside there is no physical damage, but from the inside, which of course, is not visible. Yes, it shows the same thing on all ports and on all machines. I have a 4GB USB drive (USB to IDE type). When plugged in, Windows device manager regocnize it as a Drive with some wierd name (Ã‘Ã‘Ã‘Ã‘ -> capital N with tildas on top of it), but no Drive Letter is assigned, and it doesn't show up on Disk Management, but it shows up on Device Manager. Is there any tool that might be able to restore it? I once has that problem on my friends phone, but not quit sure how I was able but I do remember using Avira (anti-virus) and a-squared Free. I first did a virus scan & then used the a-squared software. Can I assume that if my 4GB USB drive shows up as having only 30MB that it is completely messed up? Only if you can be sure that there is more than 30 MB of free space on it. i am having a 1 GB memory card in my nokia 3230 phone. I'd suggest using a disk-repair type of tool to check the memory card for faults. If there is absolutely nothing wrong there, then I would suggest contacting the maker of the phone to see if there is some sort of compatibility problem. I once has that problem on my friends phone, but not quit sure how I was able but I do remember using Avira (anti-virus) and a-squared Free. I first did a virus scan & then used the a-squared software. After that I have been using both these software for better protection. Hey! By the way, both are freeware. Why would I use a system that I know is infected with a virus and corrupt to try to fix a corrupt drive? That is a really bad idea and pretty much guaranteed to cause other problems for you down the road. Although you might infer that I was suggesting to use a corrupt system to fix the corrupt flash drive - that wasn't what I was suggesting. I'm gonna "Xerox" this off and send it to all my friends, then I'm going to take a dip in the Jacuzzi, then... tissue... yep tissue. Would you like a Cola or a Coke? Soylent Green is PEOPLE... everyone knows that right? I need an Acetylsalicylic Acid after this! I needed this post as this is a problem I'm currently having. But please, stick to the remit instead of trying too hard to make it amusing as well. You just aren't funny and so it spoils an otherwise good article. Correction: YOU don't find me funny. Correction: Bev and Peter don't find you funny. I think you are funny. :) Thanks for the help. If people are looking for dry, rigid, technical manuals, O'Reilly or Auerbach have plenty. Yep, the integrated circuit is fairly easily damaged, especially in older flash drives. "Jump Drive" is a Lexar brand name. I prefer "thumb drive" or "flash drive;" YMMV. I think I used those throughout the story. Does anyone ask for a tissue anymore, or just a Kleenex? A little thin skinned there Guy? Doc pointed out something that is in fact correct. Trying to defend your mistake by saying other people make mistakes in other situations isn't a real defense. If you want to get picky, you used the phrase "jump" 6 times in the story, "thumb" 2 times and "flash" does not appear at all in the story. And, yes, I always ask for a tissue. I wasn't defending a mistake, because no mistake was made. Using a brand name as a generic name happens all the time. Nor was I upset about Doc pointing that tidbit out. And nope, I don't want to get picky! How funny. Wasn't so long ago that when one asked, "Do you want a coke?" it was in reference to ANY type of soda in a can. Lol. And if the reply was, "Yes, please..." the next question was likely to be, "What kind?" "...will ERASE all the files on your hard drive." enjoyed your article - found it informative and entertaining. I'll be back for more. LOL to all.